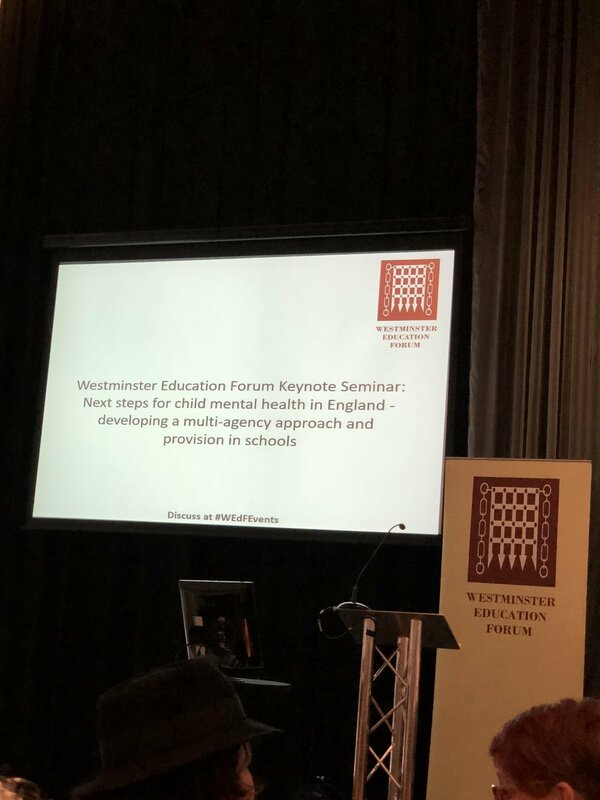 On the 8th of May, I attended the Westminster Education Forum Keynote Seminar where the next steps of child mental health in England were discussed, at Glaziers Hall in London. Student Life decided to attend this event as we are all so passionate about mental health and making a change - so it was very intriguing to listen about the country’s next steps for making mental health services better and for reducing the stigma. I believe that it put into perspective how much really needs to be done for children and young people as some data that was shared with us around self-harm and suicide was shocking. Overall, the event was great experience, however, as a young person and sufferer of poor mental health, I found some flaws in what most people were saying. The whole event was full of ADULT professionals taking about CHILD mental health but, for actual changes to be made, the adults need to give young people more of a say as it’s going to be for them! I wouldn’t go as far as being offensive, however, I found it unsuitable for adults taking to adults about what children want! However, I found a lot of what organisations/schools have put in place really helpful - not just for the young people suffering but for their parents who need support and the struggle some teachers go through when facing mental health issues. One of the steps that I found crucial to the development of mental health was including lessons on it in PSHE, as so many people lack the understanding of what goes on for their peers and pupils. So, from this event, I’m very excited to see the changes planned in society for children and young people's mental health.